Tucked away at the end of a suburban street is one of Sheen’s best-kept secrets. Very few of the thousands of motorists who drive daily along the busy South Circular Road nearby have any inkling that they are passing a busy and well-equipped garage. 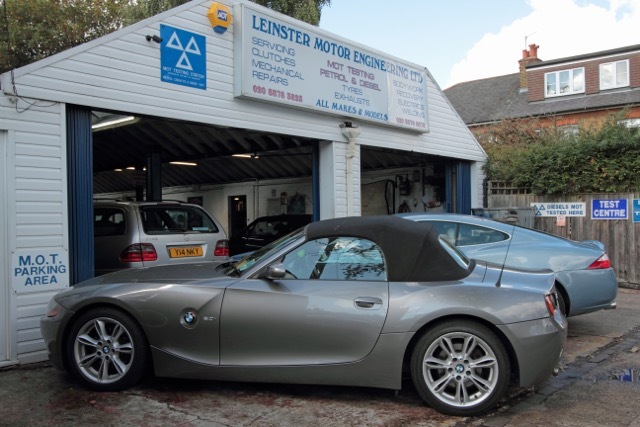 But locals are very well aware of Leinster Motors, located in the avenue of the same name, and of the valuable service it provides to the local community. In these days of huge car dealerships, usually involving a journey of many miles just to get your car serviced, to have a neighbourhood garage just a short walk from home able to do the same job is a massive bonus. “We don’t advertise or even have a sign giving directions to our premises,” explains the owner Mr S Jeyabraba. Mr Jeyabraba, who studied motor mechanics at college in his native Sri Lanka, took over the garage in 2004, realising a long-held ambition to run his own business. It was already well-established with many loyal customers built up over the years from when the garage opened in Leinster Avenue in the early 1970s. 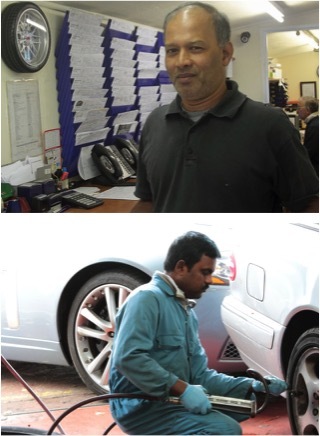 Mr Jeyabraba has made a number of improvements, buying new equipment, and modernising the MOT test centre in the garage, which has resulted in high demand for its services and a total workforce of eight to keep customers happy. As a result the garage can now do up to 10 MOTs a day on top of its normal work. “We are very busy every day I’m glad to say,” added the owner. This is no surprise really because the garage does not specialise in just a few makes of cars. It caters for all makes and all models, no matter how complicated. Its skilled mechanics can handle all kinds of work, including servicing, repairs, bodywork damage, even changing complete engines. Given how technically complicated modern cars have become (have you looked under the bonnet of yours recently? Where do you begin? ), this kind of skill is a major asset to the community. Mr Jeyabraba showed me an essential new piece of equipment he needs to find out what is wrong with a car – a hand-held electronic diagnostic computer. Fortunately for car owners who regularly service their vehicles, breakdowns are uncommon. Up to 100,000 miles, cars have become much more reliable. But there is one problem which has owners ringing the garage in a panic – when they accidentally put petrol into a diesel car. “You cannot put diesel into a petrol car because the filling hose will not fit, but unfortunately it does not work the other way round and these mishaps occur,” said Mr Jeyabraba. Good advice that you will always get at Leinster Motors.